Frankly, I don’t spend much time worrying about my web search history — but I’m starting to wonder if maybe I should. Sure, I blogged about the topic once here (You Are What You Search). If you’ve never looked at the rather famous anonymized AOL search log of user 672368 then you should, just to give yourself a concrete idea of how much can be revealed by your search history. As John Battelle says, search creates a database of intentions. Looking at 672368’s reveals a lot about hers. So what does your database of intentions look like? Do you want them keeping this information? What problems would you face if it was accidentally exposed? Or if it was subpoenaed? Well, there’s no better way to know than go look at yours. If you have a personal web search history on Google, here’s how you can go look at it. Enjoy the stroll down search memory lane. And then think about search privacy. Frankly, after looking at my own and weighing the perceived upside (none, as far I can tell) vs. the possible downside, it wasn’t a difficult decision to turn it off. 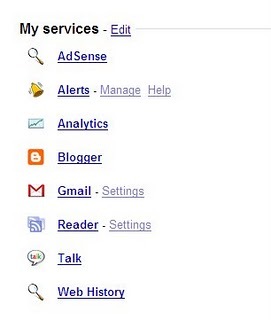 Our start-up hooeey (www.hooeey.com) allows a user to get more out of his or her browsing history. The idea behind hooeey is that Internet users can re-use their browsing history in a productive manner to reduce time spent in searching for previously visited web pages, easily share interesting web pages with others and use the provided dashboard to manage their browsing time more efficiently.